Raw vegan cheesecake is a really genius idea, whoever thought it up must be the next vegan Einstein. 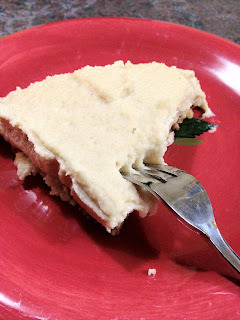 When I was a vegetarian, I have to admit I wasn't even a fan of cheesecake, but after having the raw vegan version at a few raw vegan restaurants, I just fell in love with this version. 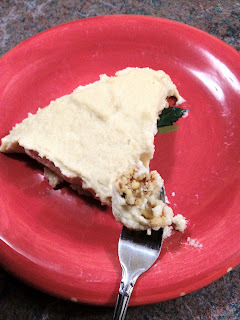 Granted the lack of raw vanilla beans or extract in the ingredient list below, this is a recipe for almost raw but completely vegan cheesecake. Go to town and don't be afraid to experiment. 1. Soak cashews for at least a few hours. I soaked mine for about 24 hours. Soak dates just briefly before use, maybe 10 minutes. 2. In a food processor, add the almonds, dates and agave and pulse until it turns to crumbs, but not too fine. Oil the bottom of the cake pan with coconut oil and spread the sticky mixture into the bottom as flat and even as you can. 3. Add all the "cream cheese" ingredients into the food processor (preferably rinsed after pulsing the crust) and pulse lots of times to break cashews up. Move on to speed 1 for a bit and then speed 2 for at least a minute. Repeat this process a couple of times until mixture becomes smooth. It will take a while as at first it resembles minced garlic or the gritty texture of hummus, but try and get it as fine as you can adding no water. 4. Pour the mixture over the crust, spread evenly and freeze for at least 2-3 hours. This will allow it to firm up nicely. 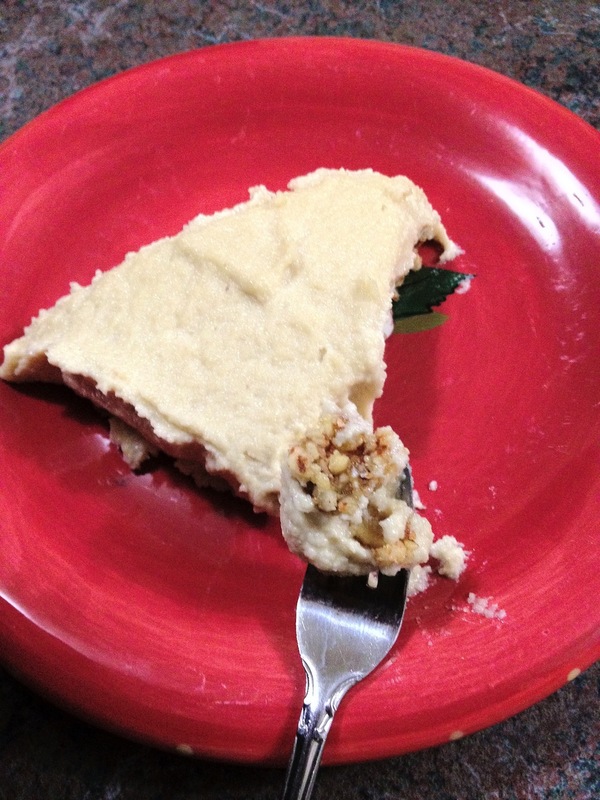 Pat on the back, you now have made your very own almost raw vegan cheesecake! You can take it out from the freezer 20 minutes before you want to serve it, to allow for thawing. Feel free to serve with fresh berries on top or get crazy and blend frozen fruit for a sorbet sauce. Posted by Scrumptious Vegan at 11:35 p.m.